COUNTRY BUILDERS BANK NOW EMV COMPLIANT! | Country Builders Bank Inc.
COUNTRY BUILDERS BANK NOW EMV COMPLIANT! Country Builders Bank, Inc. (CBB) has complied with the mandate of the Banko Sentral ng Pilipinas (BSP) to upgrade and make all its ATM terminals compliant to process chip-enabled cards using Europay MasterCard Visa (EMV) technology. According to its Vice President and Head of Marketing, Jimmy S. Ang, CBB has completed the Host System Certification (HSC) and received the Letter of Approval (LOA) from BancNet, Inc. last October 2016 while the Terminal Integration Certification (TIC) was completed and certified by FIME (EMV certification body) in Taiwan last March 2017. 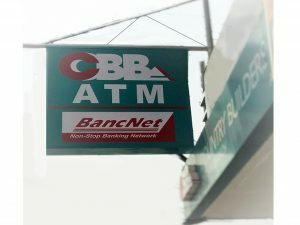 Mr. Ang, in a statement, claimed that CBB is one of the first banks under BancNet’s umbrella to be fully EMV-compliant. The latest offering will allow ATM customers of CBB to transact securely in all our ATM terminals and would contribute towards making the ATM ecosystem more secure, the statement added. To date, CBB has eighteen (18) EMV-compliant ATM terminals located in Metro Manila, Laguna, Rizal and Bulacan areas.